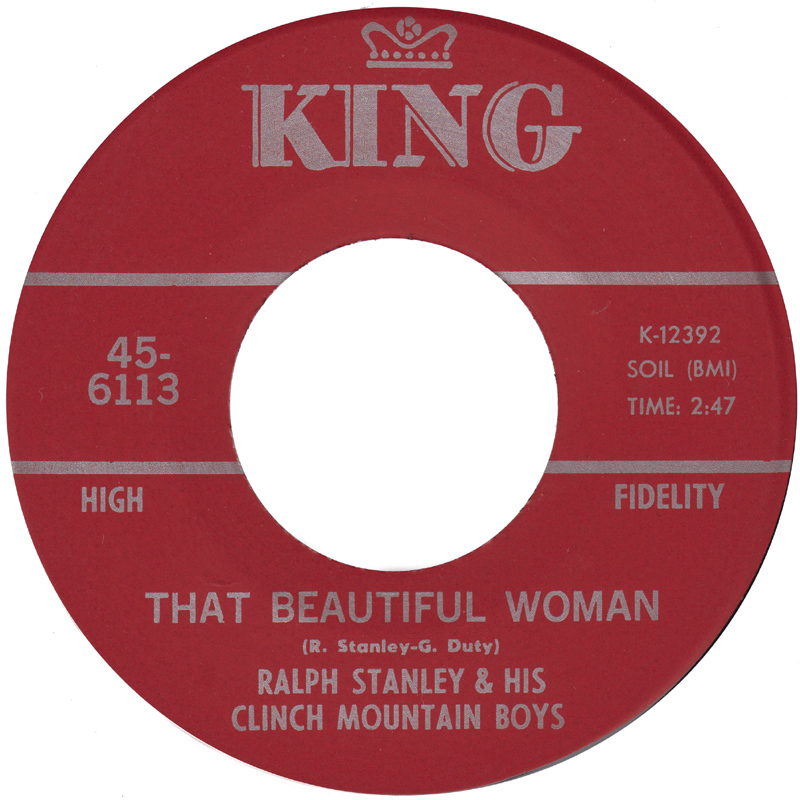 This 7" was recorded on Ralph's first session for his Brand New Country Songs album in May 1967. (Who Was) That Beautiful Woman is a classy ghost tale which was written by Gene Duty, a friend of Ralph and Carter's. 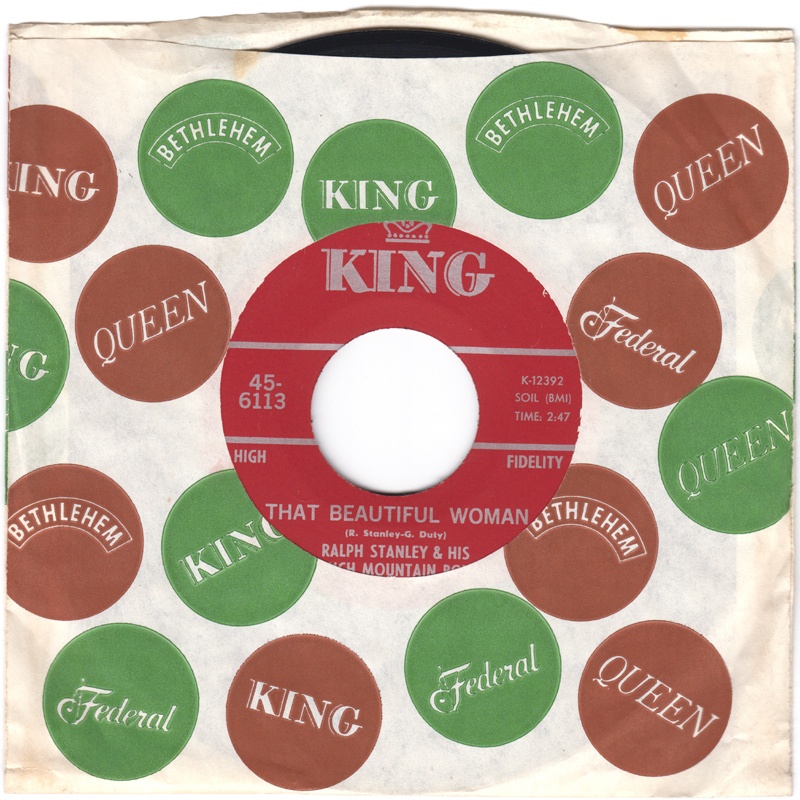 He can be heard singing the song with The Stanley Brothers on the Manville NJ Dec 3rd 1965 show. 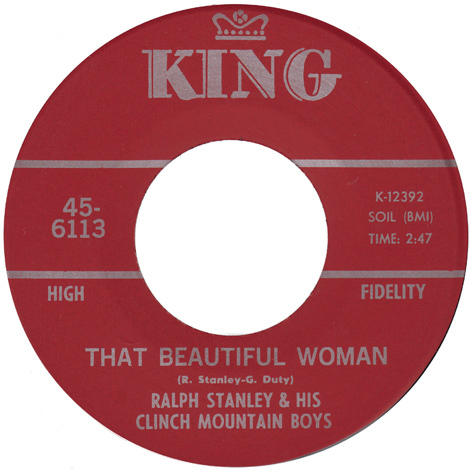 Ralph's version for King is fairly similar to Gene's except that two verses and a couple of choruses are omitted. Ralph later re-recorded That Beautiful Woman on his Old Home Place album in 1976 and again in 2004 on his Sings His Favorites Now and Then CD. Row Hoe is another of Ralph's under-appreciated instrumentals. In 1991/2 Ralph described how the instrumental Row Hoe came about:- "Curly Ray Cline and me wrote this on a trip, when we was out in California several years ago... We named this one after Curly Ray's rooster 'Row Hoe'." Both sides of the 7" can now be found on the Poor Rambler 3xCD set. Homespun's The Banjo Of Ralph Stanley - From Old-Time To Bluegrass DVD.